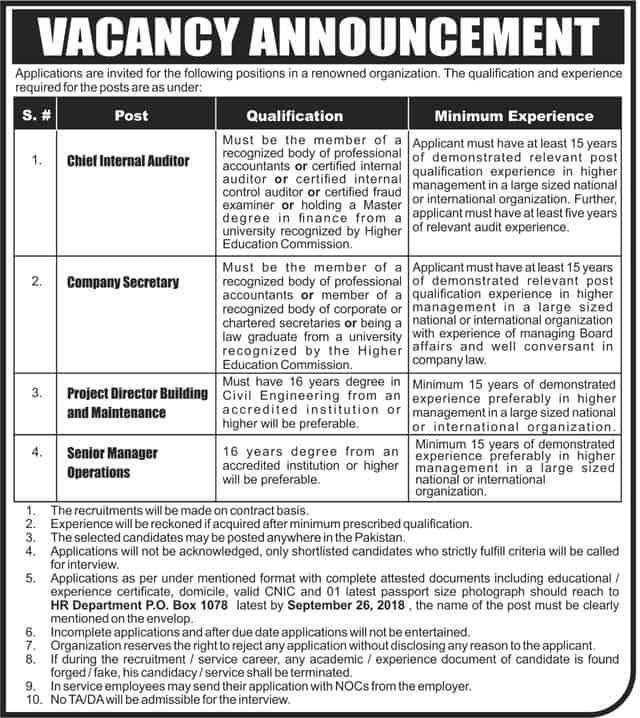 Home Balochistan-Jobs Government Jobs Jobs-in-KPK Jobs-in-Punjab Jobs-in-Sindh PO Box 1078 Jobs 2018 September for Renowned organization. PO Box 1078 Jobs 2018 September for Renowned organization. Last Date to Apply: September 26, 2018.